Sam Mitchell joined Burnetts’ Agribusiness team in 2019 as a trainee solicitor. He graduated from the University of Nottingham in 2016 with a Law with European Law degree, having spent a year at Ghent University in Belgium. In 2017 he completed his Legal Practice Course at the University of Law Chester, where he achieved a distinction. In his role in the Agribusiness team Sam advises on transfers of agricultural land, partnership agreements, voluntary land registrations and provides support to the team’s solicitors. He works with a variety of clients from small-holders to owners of large farming estates. He is especially interested in large scale transfers, deductions of titles and adverse possession claims. 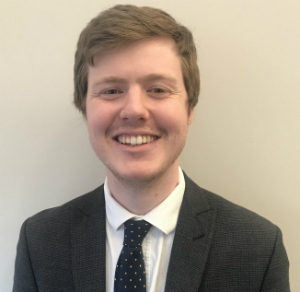 Before joining Burnetts, Sam was a trainee solicitor at Brockbank Curwen Cain and Hall Ltd. As part of his solicitor training at Burnetts, Sam will also spend some time with the Dispute Resolution team in order to gain an insight into agricultural disputes. He is due to qualify as a solicitor in November 2019. Originally from North Wales, and now living in Cockermouth, Sam enjoys exploring the Lakes, whether hiking, running or swimming in Bassenthwaite Lake and Derwentwater. He is a keen runner and badminton player. He completed the Edinburgh Marathon in 2018 and is currently training to complete it again in 2019.